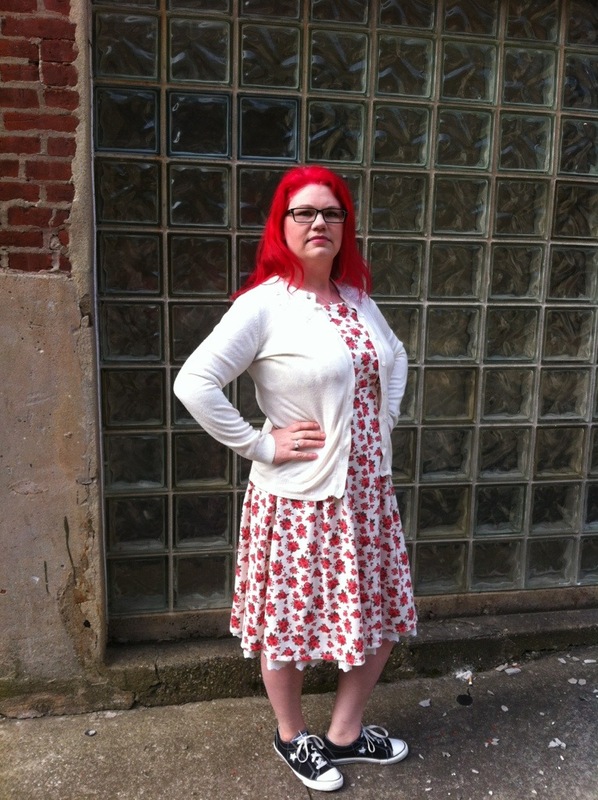 I was super thrilled that today was warm enough to wear the dress I just completed yesterday! Hooray for a warm spring happening! Here is a quick shot I begged a coworker to take this morning of me in my new dress! The pattern makes the skirt about mid calf length which for me is a bit too long for my short legs, so I did remove 5 inches from the bottom. Overall I loved how easy it was to adapt for using a knit fabric and skipping the zipper so I do see quite a few of these dresses in my future. And I think it pairs pretty well with a cardigan for those cooler mornings. A New Year and some new projects.